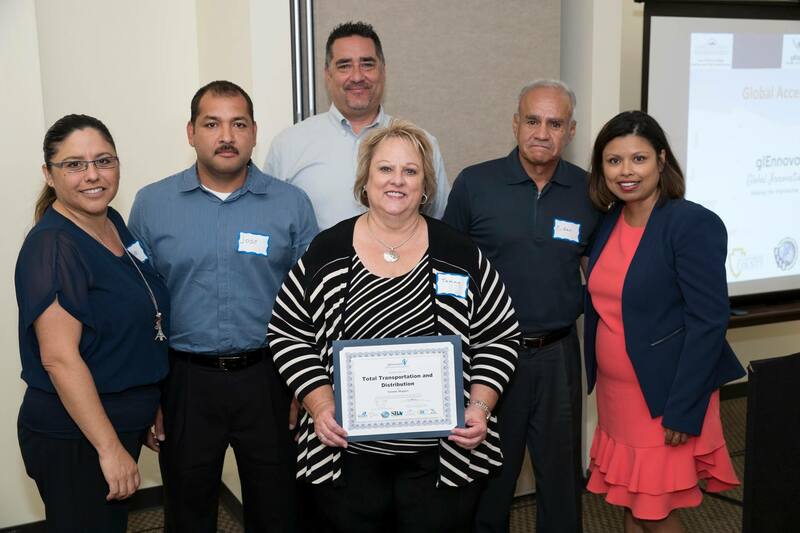 RANCHO CUCAMONGA, Calif., Oct. 13, 2016­­—Integrated transportation and distribution solutions firm Total Transportation & Distribution, Inc. recently received a 2016 Annual Inland Empire Global Innovation Award at a ceremony held at Cal State, San Bernardino. The award, presented by The Center for Global Management at California State University San Bernardino, the U.S. Small Business Administration, the California Centers for International Trade Development, the Riverside County Economic Development Agency, and San Bernardino Economic Development Agency, recognizes Total Transportation & Distribution, Inc. for its continued innovation in supply chain management. Although its business is focused on efficiency and operations, the human side of Total Transportation & Distribution, Inc. is also quite evident in the company’s “Drive for Total” program, which ensures that its drivers always return home to their families every evening as well as its focus on friendly human-being-based customer service. About Total Transportation & Distribution, Inc.
Total Transportation & Distribution, Inc. began in 1989 to provide Southern California with premier integrated transportation and distribution solutions. Total Transportation is a provider of both TL (truck load) and LTL (less than truck load) freight services and leads the industry in same day and next day delivery with efficiency and reliability with 99.97 percent on-time delivery from its fleet of more than 100 vehicles. Total’s warehouse and fulfillment center can store and take computerized inventory of clients’ products. The company recently implemented a state-of-the-art transportation and warehouse management system that allows its clients to access inventory and shipment tracking information online 24/7. For more information, please visit www.www.ttdwest.com.